True Believer Jiu Jitsu brings high-level, competition-proven Brazilian Jiu Jitsu to the heart of Pittsburgh. We educate our students in the fundamental elements of self-defense and competition-oriented Jiu Jitsu, while striving to create an inclusive and safe environment where people of all ages, interests and athletic abilities can reach their goals. True Believer Jiu Jitsu is located inside of Celli’s Fitness Center in Pittsburgh’s Lawrenceville neighborhood at 3356 Spring Way, Pittsburgh, PA 15201. Schedule your free introductory class today by filling out the contact form below. 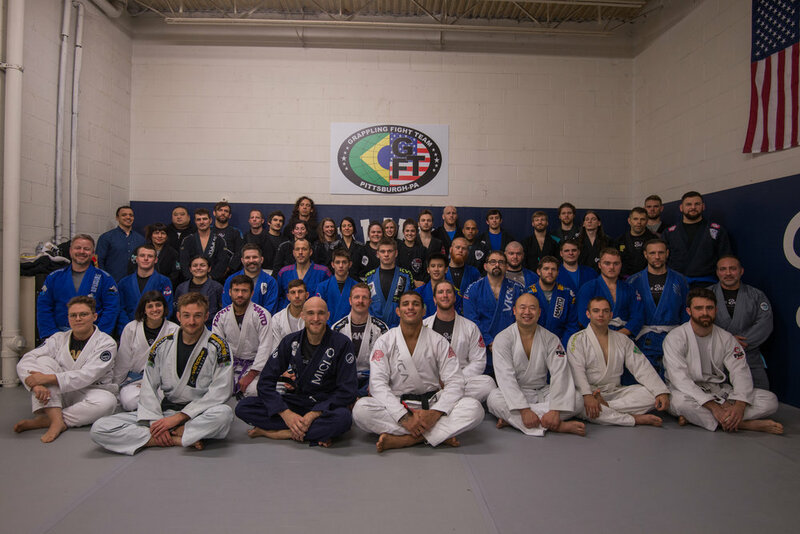 With a unique class schedule, True Believer Jiu Jitsu offers multiple types of classes in order to provide an encouraging and challenging environment for students of all levels. True Believer Jiu Jitsu is constantly striving to help our students reach their individual goals. Click through to learn about upcoming competitions, seminars and other fun events. We work hard to foster a welcoming and inclusive culture. Learn more about the community we are building, and find out what it means to be a part of the True Believer Tribe.